Are you looking for a public golf course in Lakeland, Florida, that offers challenging play in a gorgeous setting? Then turn your sights to Cypress Lakes, a 55+ community located at 10000 US Highway 98 N featuring two 18-hole courses that are open to members of the public. The South Course, which boasts five sets of tees ranging from 4,803 to 6,680 yards, is a par 72 layout with Bermuda grass fairways and Diamond Zoysia greens. It was designed by noted golf course architect Ron Garl and has been favorably recognized for its high-caliber layout by Golf Digest, Florida Golfer, and Senior Golfer. The North Course is an executive-length par 60 that will enable you to enjoy a full round of golf with less of a time commitment. 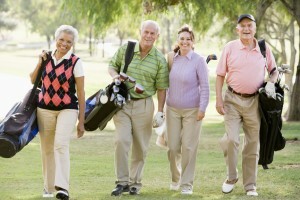 There is thus a public golf course at Cypress Lakes in Lakeland, FL, that is suitable for a golfer of any skill level. Whether you are a low handicapper or new to the sport, you will have a great time playing golf at Cypress Lakes. Plus, booking a tee time for either course is as easy as 1-2-3. Tee times for all those who are not members of the Big Cypress Golf Club can be arranged by calling (863) 859-6871 or by clicking on this link for the South Course or this link for the North Course. Members of the Big Cypress Golf Club receive first priority and can book a tee time by calling (863) 248-0284 or by clicking on this link, which directs to the Big Cypress Golf Club Reservation System. Your search for an excellent public golf course in Lakeland, FL, can end with Cypress Lakes. Contact us today for additional information, either about our golf facilities or the process for becoming a resident of our 55+ community.